Prepare for any airborne or contact bio-hazards with these professional and affordable supplies. Protect your family or emergency response team from airborne or contact bio hazards with these professional quality supplies from Fire Supply Depot. 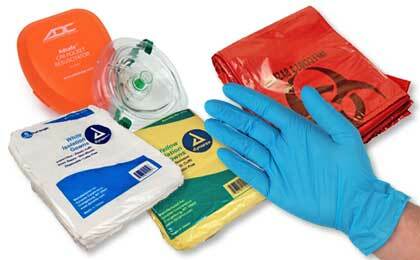 Rubber and vinyl gloves, anti-bacterial soaps, clean up kits and more can keep your family or your team safe.